I’m starting to get really worried about the housing market. Suze Orman, who doles out no-nonsense financial advice to millions of loyal followers, has changed one of her cardinal rules. You’d like to think that one of her rules is that the rules can’t change, but here we are. 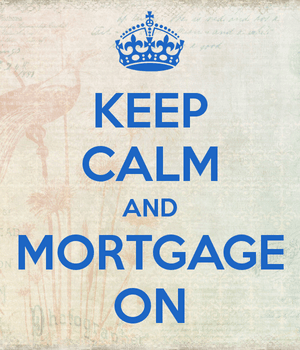 Suze Has Changed One of Her Key Mortgage Rules! In what she referred to as a “Suze alert!,” Orman told viewers on CNBC that they no longer need to bring in a 20% down payment when buying a home. Instead, she’s happy with buyers coming up with just 10% down. Of course, she does have some rules for those who can only muster 10%. She wants them to stick with a 30-year or 15-year fixed mortgage, and the total housing payment should be less than current rental payments, maintenance included. Conventional wisdom says to bring 20% down payment to the closing table because you’ll first show the seller you’re serious and qualified, second obtain a lower mortgage rate, and lastly avoid mortgage insurance. If you’re loan is above 80% LTV, you’ll need to obtain PMI or go with an FHA loan, and your mortgage rate will come with more pricing adjustments. Additionally, a home seller might consider other offers first, knowing that financing a mortgage above 80% LTV comes with more complications, and less certainty. So Suze was right to tell homeowners to come in with 20% down when buying a home, especially because she also asked that they set aside an eight-month emergency fund. But apparently viewers were concerned that they’d never be able to save enough to put 20% down on a home. Rightfully so. Why Did Suze Change Her Mind? Put simply, she thinks we can’t pass up the opportunity to buy a home right now. She thinks home prices have bottomed and won’t depreciate anymore. And that’s exactly what scares me – it feels a bit irresponsible that Suze would change a key rule of hers and get on the housing bandwagon all of a sudden. This is especially true when the advice comes a year too late. This may have made more sense a year ago when home prices hadn’t yet skyrocketed, and rates were still rock bottom. But I suppose back then homeowners would have been able to put 20% down without a problem, seeing that prices hadn’t yet realized their double-digit gains. It appears as if she’s now telling prospective home buyers that it’s okay to be market speculators, now that the dark days are seemingly behind us for good. But what happens when mortgage rates are back in-line with historic norms, and home prices are no longer discounted? Will she change the rule back to 20%? This tends to be the standard path when the fear subsides and elation takes center stage. After uncertainty comes acceptance, and then euphoria. Not long after you’ve got a crisis on your hands. This is the bubble mentality in a nutshell – buy at any cost, you can’t lose. And throw out the conventional wisdom while you’re at it. For the record, I don’t care what her rule is or was, I just don’t like the reason for changing it. 10%, 20% down,..it doesn’t matter. The problem.. people who falsify income and bank underwriters who do not verify this income (or employment). Another problem, negative amortized mortgage loans. Knock these three things out and everything goes back to normal. It’s good to have some skin in the game, even if you do verify income/job/assets. That makes it tougher to walk away if things don’t go exactly as planned. true! But I would lend 100% money for homes (based on credit, income, job, assets, and debt ratio). It’s done now for cars, boats, rv’s, campers, etc.. It’s the “least” likely to depreciate out of all. (Plus PMI to back you). I would go a step further and make 50 year loans. average person stays in the home 6 years.